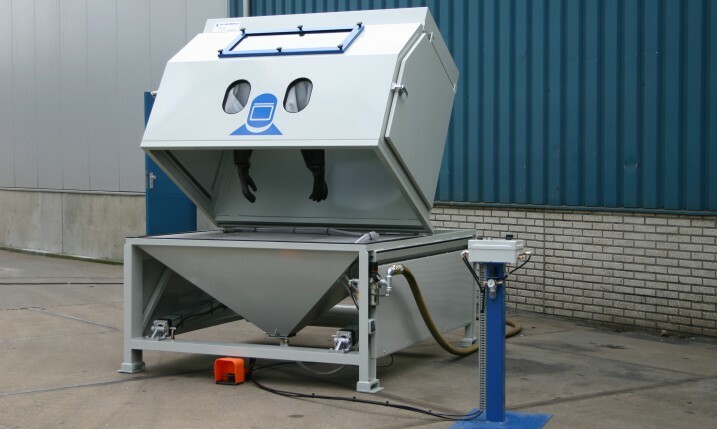 Holland Mineraal has an extensive range of blast cabinets for blasting smaller parts and products. There are two main types of blast cabinets available. 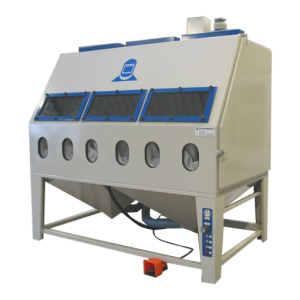 An injector blast cabinet is ideal for light cleaning work, whereas a pressure blast cabinet is usually used for heavy, serial work. The great advantage of this type of blast cabinet relative to the injection principle is the high productivity and blast velocity. 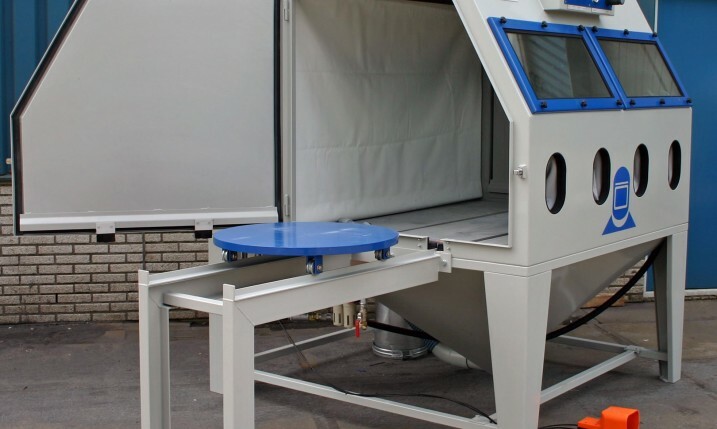 The Holland Mineraal pressure blast cabinets are therefore particularly suitable for continuous use. 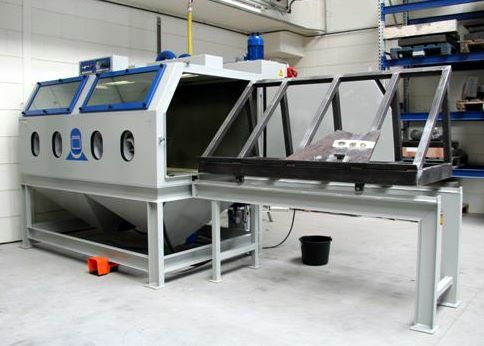 Injector blasting is usually carried out in small cabinets and is most suitable for light cleaning work. 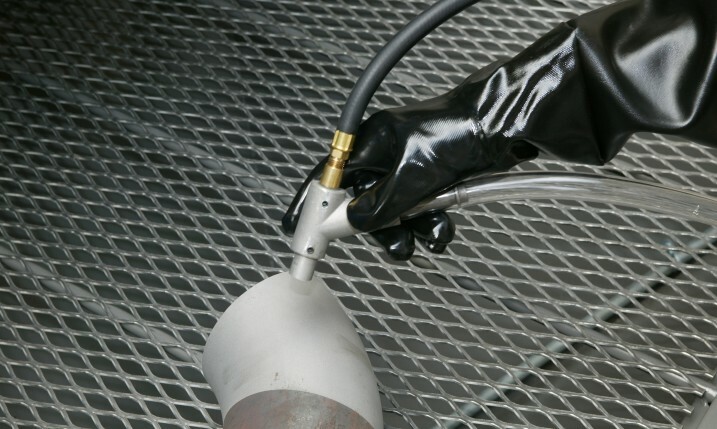 The abrasive is siphoned into a gun l by an injector action and then accelerated and sprayed onto the work piece. 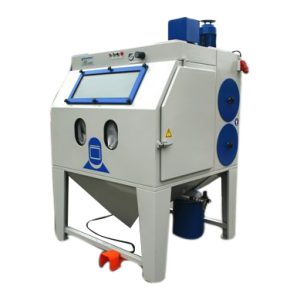 The great advantage of the injector blast cabinet is that a good result can be achieved with relatively little compressed air. Depending on the diameter of the nozzle, up to 350 litres/min. can be blasted. All steel cabinets comply with the relevant CE standards and are delivered with a carbide nozzle, light fixture, foot pedal operation and dust extraction. 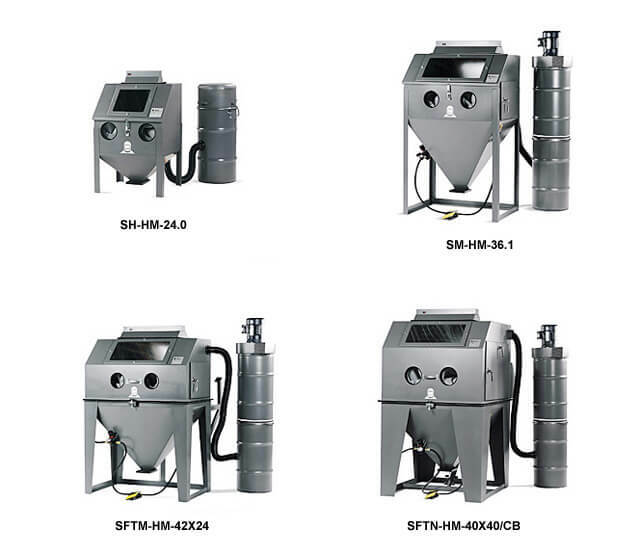 This robust series of blast cabinets combines the dust extraction and the abrasive transport together in a so-called ‘Ventifloor System”. The extraction system has a self-cleaning filter cartridge. The standard range comes in 2 types: HMD-1400 and HMD-1600. 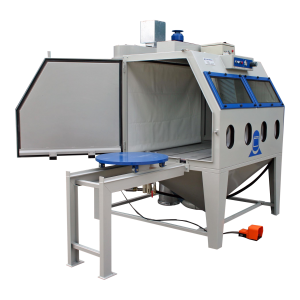 In addition to the standard range of blast cabinets, it is also possible to build a pressure blast cabinet to your specific requirements. The design and dimensions can be determined in close consultation with you.